Guitar Making Courses Taught By Luthier Garren Dakessian | Loucin Guitar Co.
Build-A- Guitar (division of Loucin Guitar Co.) offers an intensive course of instruction in acoustic guitar building. Students will learn every aspect of the process from start to finish and will build their very own acoustic guitar during the course. We provide a fully equipped workshop full of tools, forms, moulds and jigs. Courses run all year long (except August), but there is limited space, so make sure to book now. You will work along side Garren who will teach you the principles of guitar making. You will follow the Loucin guitar building process step-by-step. After successful completion of the course, you will have a guitar made for you, by you – how cool is that? “A true One of a Kind”. 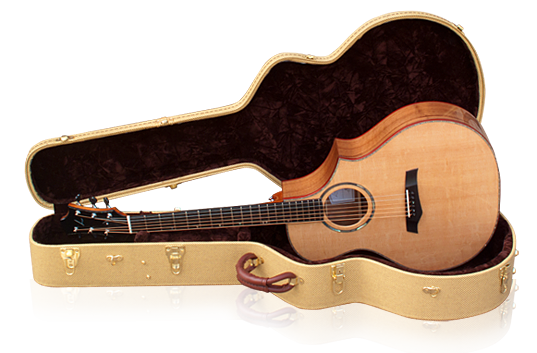 The course cost of $4,799.00 includes all materials needed to create a LD, ZD, or an AD acoustic guitar. These are all full bodied guitars without a cut-away. At the end of the course, you take your guitar home in a TRIC guitar case. NOW AVAILABLE, Custom Payment Plans (upon request). Course cost does not include any applicable taxes. Students must be 18 years of age or older & have a basic woodworking skills. Guitar Building Courses can be designed completely around your schedule. We recommend 1 day/night a week. Average students requires 4-8 months to complete his/her guitar. Courses run all year excluding August.